Big Day Out gave fans the opportunity to submit their questions for My Chem to answer. Watch their responses in the video below. My Chem will be performing at Big Day Out in addition to headlining dates. For info, visit the Tour Page. “I heard my first My Chemical Romance song seven years ago. They were everything I wasn’t; defiant and unashamed, confident in their individuality and refusing to apologize for their flamboyancy. It’s easy to shoulder the fears and expectations of life like a burden and sink beneath them. Much harder is finding the inspiration to be something (motherfuckers); to lock eyes on the horizon and tell the world, You just watch me run, and never, ever look back. For your chance to watch My Chemical Romance from the side of the stage in your Australian city, tell us in 25 words or less tell us what character you would create for yourself if you were a part of the Fabulous Killjoys, and Why! One winner and an accompanying guest will be chosen to watch via side stage for an Australia show in their city. Limit one entry per person. Contest ends January 19, 2012 at 9am PST. Winner and guest must be aged 15+ and provide their own transportation to the show. 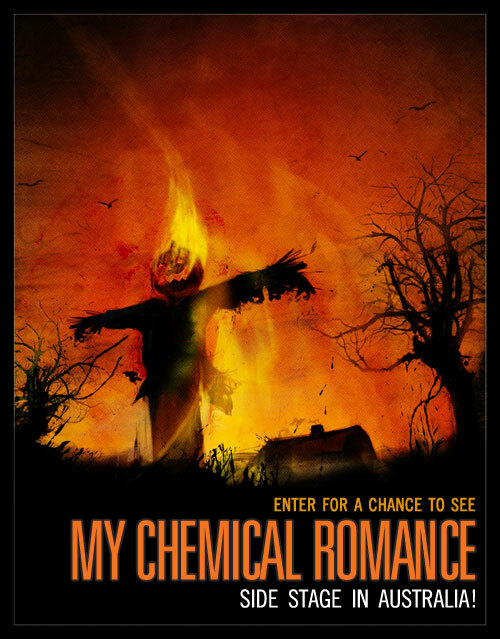 To submit your entry, go to My Chemical Romance’s Facebook Page and leave a comment on the contest post. MCR will be playing Big Day Out and additional headlining shows. Visit the Tour Page for all the information. CoupedeMainMagazine.com is offering My Chem fans in New Zealand a chance to win a meet and greet for them and a friend at Big Day Out Auckland. 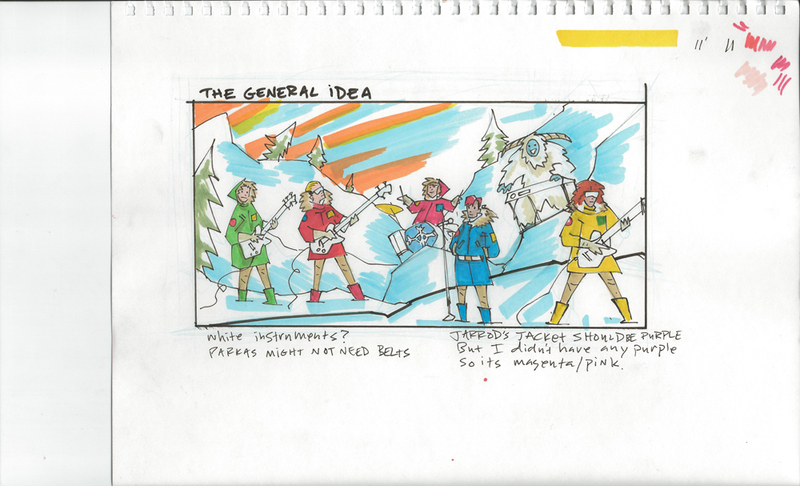 All you have to do is create an original Killjoys comic strip. 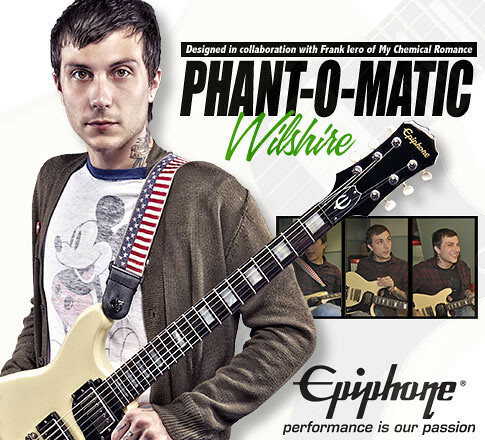 Chem fan- a Wilshire Phant-o-matic Epiphone guitar designed by Frank. Learn more about the guitar on Epiphone.com. All you have to do is send in your favorite memory associated with Danger Days: The True Lives of the Fabulous Killjoys. Some entries may be featured on MyChemicalRomance.com and MCRmy.com! One fan will be chosen to win the guitar. Limit one entry per person. Contest ends 12/21 at 12 noon PST. We love Yo Gabba Gabba. And I love DJ Lance. These are some drawings I did after talking to series creator Christian Jacobs and getting really inspired. We talked a lot about Hoth and we definitely wanted a Yeti. 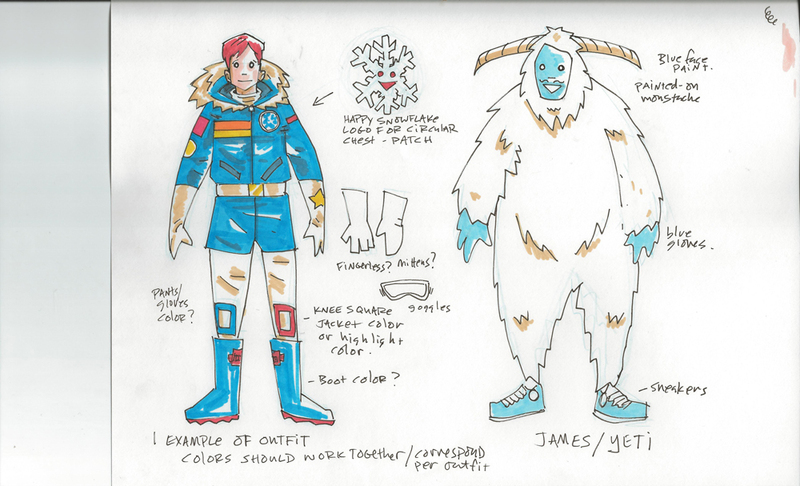 Thanks to James Dewees and the awesome people at YGG, that dream was realized. My Chem will be a special musical guest on the Yo Gabba Gabba! episode “A Very Awesome Christmas” on December 18 at 8pm on Nick Jr. The band will perform “Every Snowflake’s Different (Just Like You)”. Check your local listings for more information and watch MCR’s performance.